The “F” driving experience is communicated by the large central color TFT (Thin Film Transistor) tachometer, enclosed in a large-diameter ring machined from aluminum with a stainless steel finish that gives a deep metal luster. The design of the tachometer and the content it displays change with the drive mode selected, enhancing visibility and usability. The position of the information, and the size of fonts and indicators displayed were all fine-tuned to provide quick confirmation of vehicle performance in a glance. Simple operation that includes enter switches integrated on both sides and a back switch lets users interact intuitively with the navigation and audio systems on the 12.3-inch EMV display, for easy control of the systems. 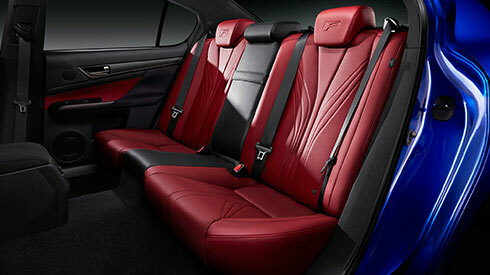 “F” DNA imbues the rear seats with premium sports quality and outstanding comfort. 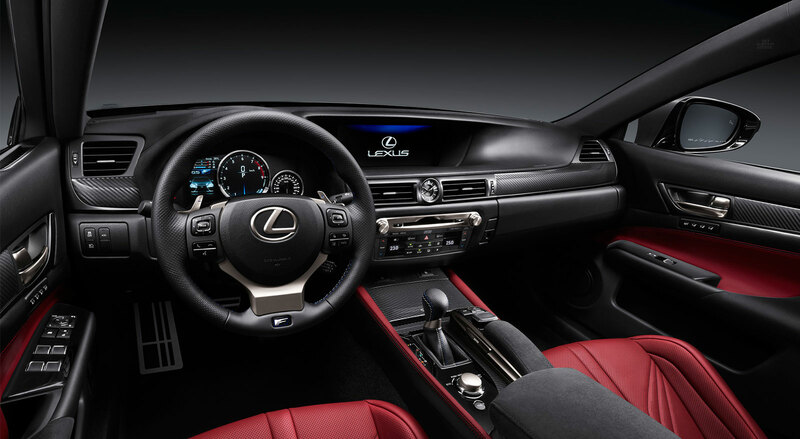 Taking design cues from the front seats, the distinctive sewing pattern and stitching provide firm body support, and the exclusive headrests integrate an “F” emblem. 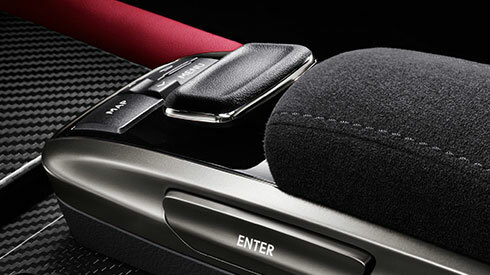 The rear center armrest folds down to reveal control switches that enable relaxed operation of the rear air conditioner, audio system and power rear window sunshade. 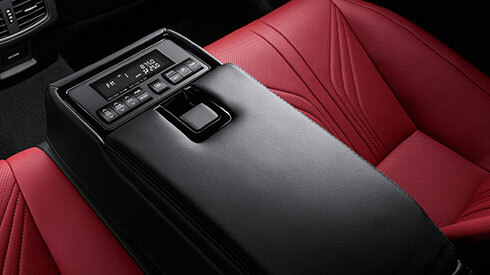 It also integrates cupholders and a storage space for small items. 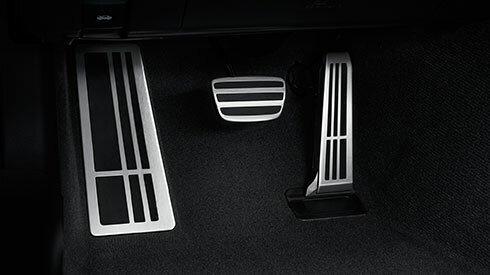 The slit pattern of the aluminum pedals contributes to excellent functionality during pedal operation. It helps to suppress foot slippage while supporting smooth and secure movement, contributing to the feeling of sporting control. 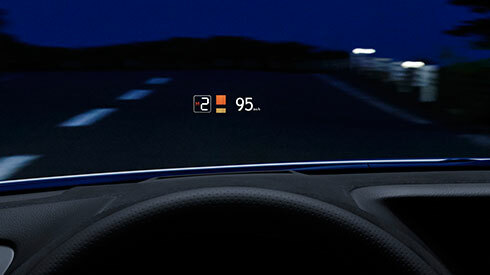 The large color head-up display projects a range of frequently checked driving information and warnings on the lower windshield glass in the driver’s line of sight, requiring only a movement of the eyes to see it. 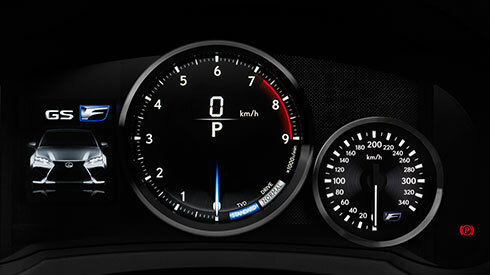 In addition, two exclusive “F” Sport Mode displays show the tachometer and shift range or the shift range and rev indicator. Befitting a premium sports sedan, the ample trunk space easily accommodates 9.5-inch golf bags and sports bags. A trunk-through also enables the carrying of longer items. 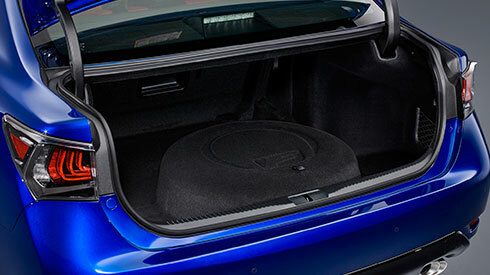 The wide-opening trunk lid ensures easy loading and unloading. The power trunk lid can be opened using a switch on the Electronic Key or in the instrument panel.